Jan was born and raised in Wayne County, Ohio. She moved to McLean, VA in 1973 and to neighboring Great Falls sixteen years later. Jan has served on the boards of many other organizations and institutions in the political, medical, and social work fields over many years that included the McLean Project for the Arts, the Virginia Museum of Fine Arts, and the George Mason University Fundraising Committee. 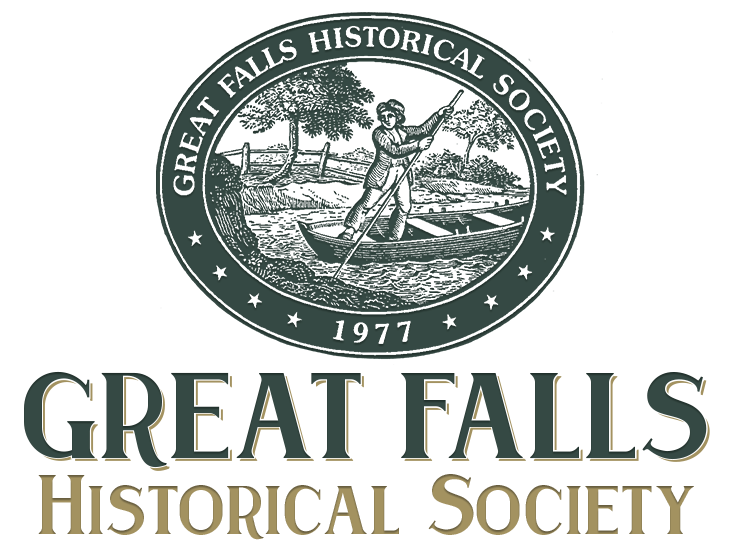 She has served on the board of the Great Falls Historical Society as Membership Chairperson, ByLaws Chairperson, Parliamentarian, and VicePresident. Douglas and his wife, Barbara, first moved to Arlington, Virginia in 1958 and to Great Falls in 1966. He worked as a general contractor and utility operator. Doug sold his business in 2001. He is known locally for conceiving of and building the Great Falls Village Centre, which has become the heart of the Great Falls community. Since retirement, he has been gardening and repairing his conserved property. A former officer of Great Falls Heritage, Doug has participated in the purchase of the Old Forestville Schoolhouse and the historic designation of Georgetown Pike. Susan’s interest in the past originated in her family’s curiosity in pioneer history and their place in it. She lived in the Middle East for about twenty-six years before moving to Great Falls in 1998. Susan have four grown children (one of whom currently lives and works in Dubai with her family). She has been an Educational Therapist for over forty-five years and had a private practice in Great Falls for about nineteen years, specializing in working with children who had ADHD and Dyslexia. A resident of Northern Virginia since 1970 and of Great Falls since 1989, Harriet and her husband, Mac, are fortunate enough to live in a turn-of-the-century Sears-and-Roebuck farmhouse next to Great Falls Park. Since both her mother and grandmother were experts on American antiques, she has long been interested in local history. She received a undergraduate degree in American History from Smith College and a graduate degree in Population Dynamics from the John Hopkins School of Public Health. Her work as an advisor to international development programs continues to enable her work in many countries. Glen was a longtime resident of Great Falls and an active member of his church, the Great Falls Citizens Association, and the Freedom Memorial Committee. He retired after 30 years of naval and federal work as a chemical and nuclear engineer with the U.S. Department of the Navy (DoN), the Environmental Protection Agency (EPA), the Nuclear Regulatory Commission (NRC), and the Department of Energy (DOE). In addition, he was consulted in safety and environmental management. He and his wife, Marge, have three children and six grandchildren. Norma moved to Great Falls in 1971, after her husband, Steve-a doctor- served two years at Andrews Air Force Base. They have three children and five grandchildren. After completing many years of graduate education, she worked for a year at the Kennedy Center, than twenty years at the Library of Congress (LOC). While there, she first labored in the Copyright Office and as the Director of Development for the last ten years. In her early years at Great Falls, she was active in the Great Falls Citizens Association. After retiring from LOC, she was active in the Friends of Great Falls Library, serving as President for two years. When Karin moved to Great Falls in 1981, she was drawn to its rural beauty. It was a place with horses, dairy farms, an old schoolhouse, and miles of open equestrian trails. While Karin knows that we will never return to the past, she believes that historic preservation is an endeavor that we should all seek in order to preserve, conserve, and protect homes, objects, and landscapes that will connect us all. Living in the Jesse Smith House, her goal is to unite all owners who live in historic houses in the Great Falls area and foster the possibly of introducing their homes to others. Betty is a native Great Falls farmer who grew up to work at ADP as a professional trainer. She is warmly loved for her coordination of many Great Falls Day as well as her charming encounters with local schoolchildren as she presents dairyfarming history. Words cannot express our gratitude for her enthusiastic “party-making” skills. We have many fond memories of festive events that were all arranged and coordinated by Betty. She also has received the 2016 Tibbet’s Award for her long years of work with the Society. Rob has lived in Great Falls since 1993. He is a native of Springfield, Illinois- Abraham Lincoln’s hometown and the state capital- which gave Rob a lifelong interest in politics and history. He earned a B.S in Electrical Engineering from the University of Illinois and an MBA from the University of Chicago Booth School of Business. Rob was named C-SPAN’s President and co-CEO in April 2012, a position he shares with his colleague Susan Swain. Together, they are responsible for strategy and operations at the nation’s only public affairs cable television network. Prior to that, he served as C‑SPAN’s President and co-COO, and has been C-SPAN’s top financial officer since 1987. Peter retired after a career in law enforcement, security, and intelligence. He served as a City Councilman in a medium-sized Connecticut city while receiving his B.A. in Psychology and M.S. in Management. His interest in Historic Preservation developed while researching early cast-iron commercial buildings in his hometown of Norwalk, Connecticut. Peter and his wife, Jennifer, have been renovating their 1925 home since they moved to Great Falls twenty years ago. He is an active musician who played the drums, bass guitar, piano, and vibes.